3 female vocalist songer/songwriters, lush with harmonies, with an acoustic back bone. "Acoustic pop with Gospel overtones, Maeve is a fresh new trio with an adult contemporary vibe. Harmony focused and lush, Maeve is rapidly winning converts on the Boston circuit." 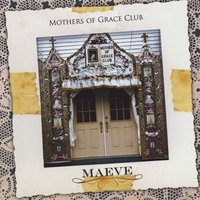 "Maeve has uniquely strong melodies and harmonies. They could sing forever and God wouldn't mind. Lyrically, they are not cliché, not saying what they think we want to hear, rather telling their stories honestly, candidly, and in so doing reminding us of our own. As people, they are humble, funny, accessible, smart, refreshing, encouraging and needed. When they smile, they can light up a room. When they sing they can light up a lot more."